I got some really fabulous books this week that I can not wait to start reading and reviewing! 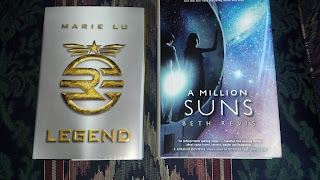 I won Legend from Reading with ABC's 300 Follower giveaway and A Million Suns from Book Stacks on Deck's 1000 Follower giveaway. I've wanted to read Legend for a while now, I guess I should get around to reading it:) Delirium is really good, and Pandemonium is even better! Intangible! I heard it was really great! Really nice mailbox this week! Hope you enjoy the books!! Great haul this week! 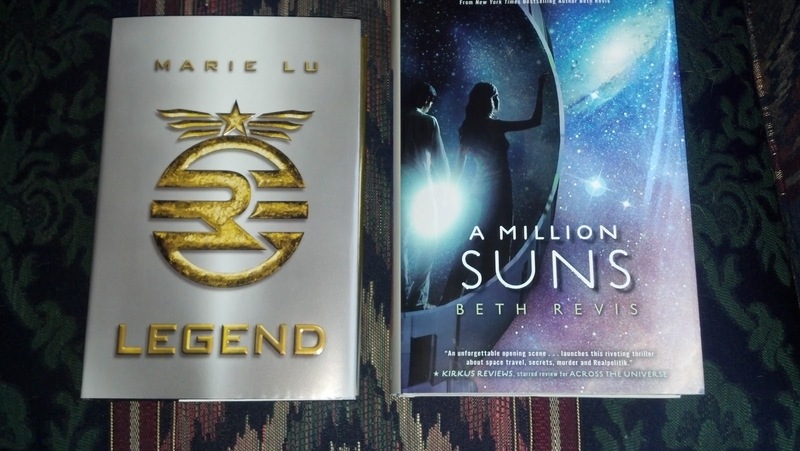 I adored "Legend" and am reading "Delirium" and "A Million Suns" right now. I hope you enjoy your books! Congrats on the books you won and I hope you enjoy Delirium! A Million Suns is an amazing book. Hope you enjoy everything you got this week. :) New Follower. Looks like you got some good stuff! Thanks for stopping by my blog and I hope you have a good week of reading! 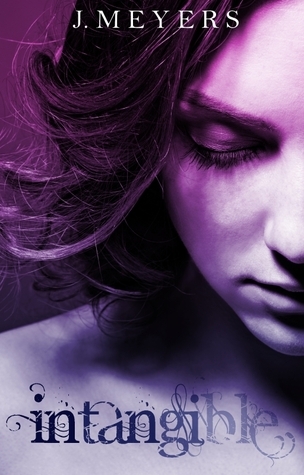 The cover of A Million Suns is beautiful! Delirium is just wicked! Happy reading! Delirium is seriously awesome! I hope you enjoy it! And I still need to get Legend and start the Across the Universe series :) Hopefully, I'll get to that soon! Congrats on winning those books, that's always very exciting! Thanks for stopping by! What fab wins! Am currently reading - and loving - Legend. Beth Revis is up after I finish two more books, and I can't wait! WOW! Great haul. I've been wanting to read all of these. I'm certainly jealous. A lot of people seem to be picking up Delirium probably because Pandemonium is out. I hope you enjoy everything you got this week. Here's my IMM!